September and the end of Summer kept everyone at the Trellis Center busy and working hard to keep up with all the harvest the late Summer brings. We also welcomed a new friend to Trellis in September. Nathan has been working hard with everyone to experience and learn what all we do at the Trellis Center. Our garden beds and pumpkin patch have been producing great vegetables including pumpkins, beets, tomatillos, and many other plentiful produce. In our greenhouses, we are continuing to grow microgreens for local restaurants, and we also have quite a few Hungarian wax pepper plants growing very well. The beginning of Fall has been a time of change for our outdoor plants. As the temperature begins dropping a little lower each night, we started to remove different plants from our garden beds that are finished producing and those that aren’t equipped to deal with the colder temperatures. This has been a great opportunity to talk about the differences in plants and learn what grows best during each season. The Trellis Center also had the chance to go to quite a few Farmer’s Markets in September. With all of our hard work, we were able to fill our market trailer with all kinds of produce and plants showing off the variety of items everyone at Trellis can grow and care for. We will have our last two farmer’s markets in October. Come see us at the Kittitas Valley Farmer’s Market on October 10th and 24th! We will have plenty of produce for sale including pie pumpkins, carrots, and eggplant. Our recreation program provided us with some great activities to take advantage of the weather and the gently changing leaves. We took a trip out to Speelyi Beach Park by Cle Elum and went on a walk along the lake. 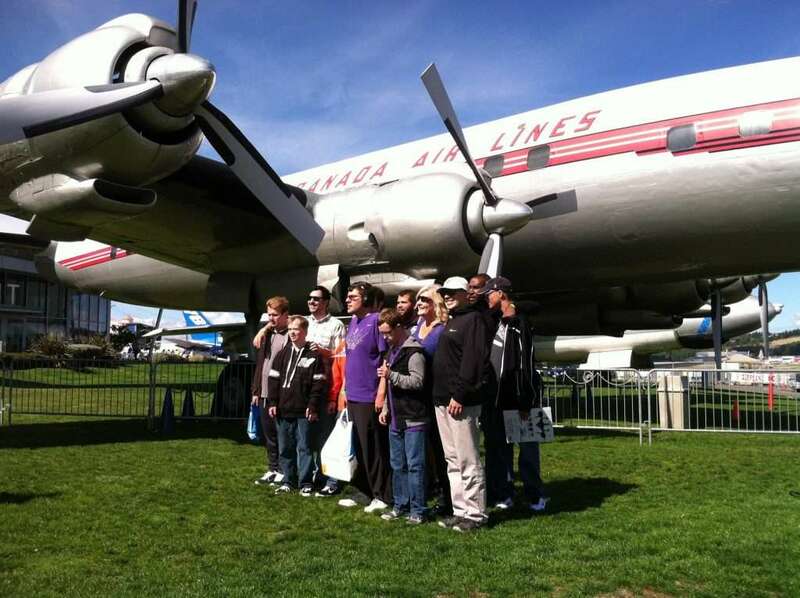 We also went on a big outing to the Museum of Flight in Seattle. A very big thank you to all those who helped make that trip a possibility: Mr. Dillow, Mr. and Mrs. Albers, Millie Spezialy, and everyone at the museum who made our trip so special. As always, if you are interested in volunteering or hearing more about what the Trellis Center is up to, feel free to contact us at contact@thetrelliscenter.com or check out our Facebook page.